Comedy Night – Doors open 7.30 pm – Performance 8 pm. What goes better hand in hand than comedy and cider? Well this year you can enjoy a night of both thanks to the return of Stand up for Cider. 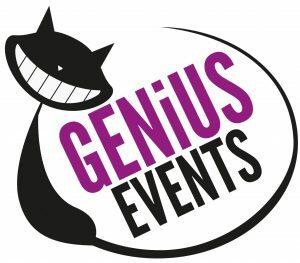 Now going in to its fifth year, the comedy event from Genius PR and Events will be back this January. Stand up for Cider gives amateur comedians the chance to show off their skills – with the audience voting for who they think should go through to the next round! They’ll be joined by a professional MC and audience members will also have the chance to see eight to 10 comedians at each show. They will be at amateur to semi-pro level, not a full-time comedian yet but on the way up. If that wasn’t enough, there will also be a headline act from the cream of the UK comedy circuit who will announce the winner and runner-up. Trish Caller, who runs Genius PR and Events, said: “This is a really exciting opportunity to be part of one of the funniest events in Taunton. “Audience members will be given scoring sheets on arrival so they can vote for their favourite amateur comedian on the night. “The top two or three from each round will then go through to the grand final. Scott Berry from Berry’s Coaches says “As a company that has been serving Taunton and the West Country for nearly 100 years we’re delighted to be sponsoring an event that gives an opportunity to local talent. We’d like to wish all the contestants the best of luck and are looking forward to seeing your acts.